Call: An options agreement that gives a trader the right to buy a stock at a specific price before a specific date. Candlestick Chart: A chart style that displays price data using Japanese candlesticks. See THIS VIDEO for a full understanding. Chaikin Money Flow (CMF): An oscillator developed by Marc Chaikin that shows the volume-weighted average of accumulation and distribution during a specific period. Continuation Pattern: A type of chart pattern that signals a continuation of the current trend. 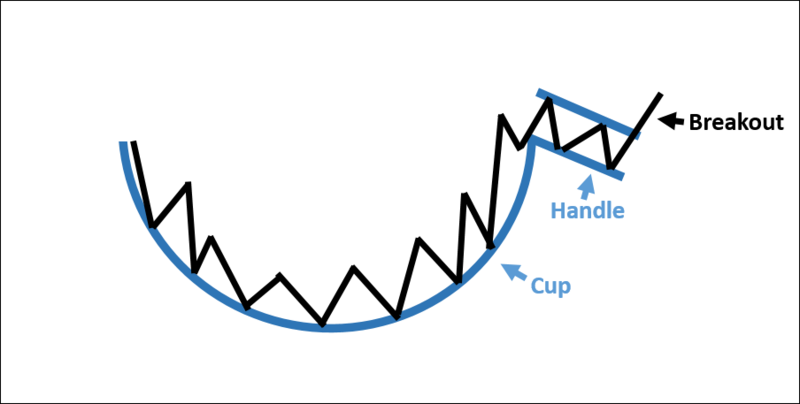 Cup and Handle: A bullish chart pattern that signals a breakout after a short consolidation period.